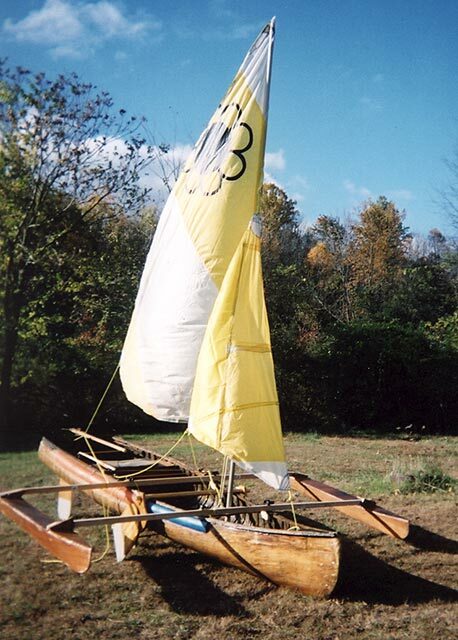 This 12'2' sailing trimaran started life as a canoe sometime around 1910. 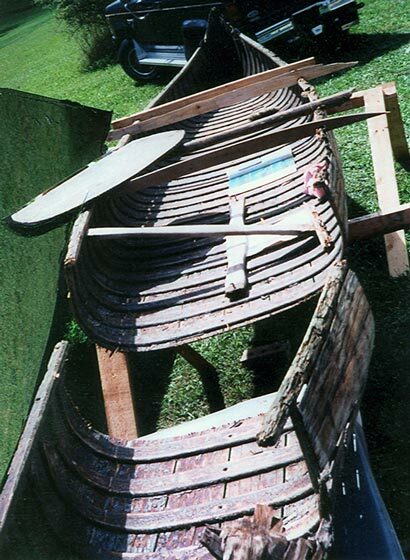 Ron Mulloy of Randolph, NJ obtained the canoe in 2001 and started construction by cutting 5' off the original length, then spent the next 4 summers rebuilding her, and adding kick-up leeboards and rudder. He made the outriggers from luan plywood, and red oak using stitch-and-glue methods. She carries 32 sq. ft of sail. 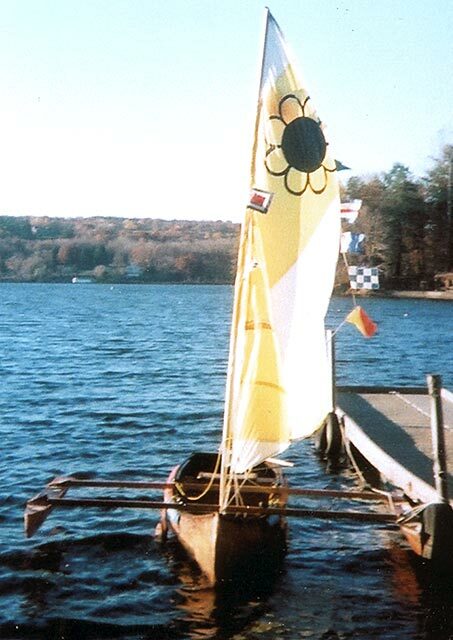 Ron sails SUNFLOWER on Swartswood Lake, in Sussex, NJ.